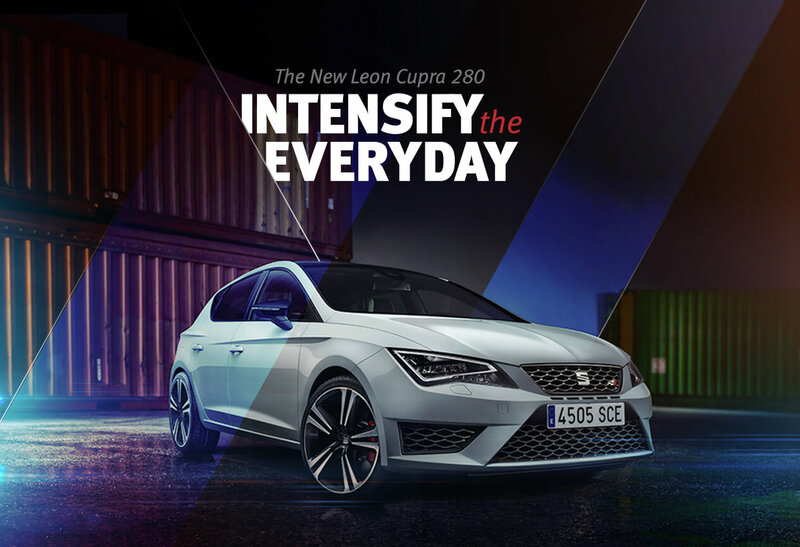 To excite petrol-heads around the country about the launch of SEAT’s most powerful car ever. 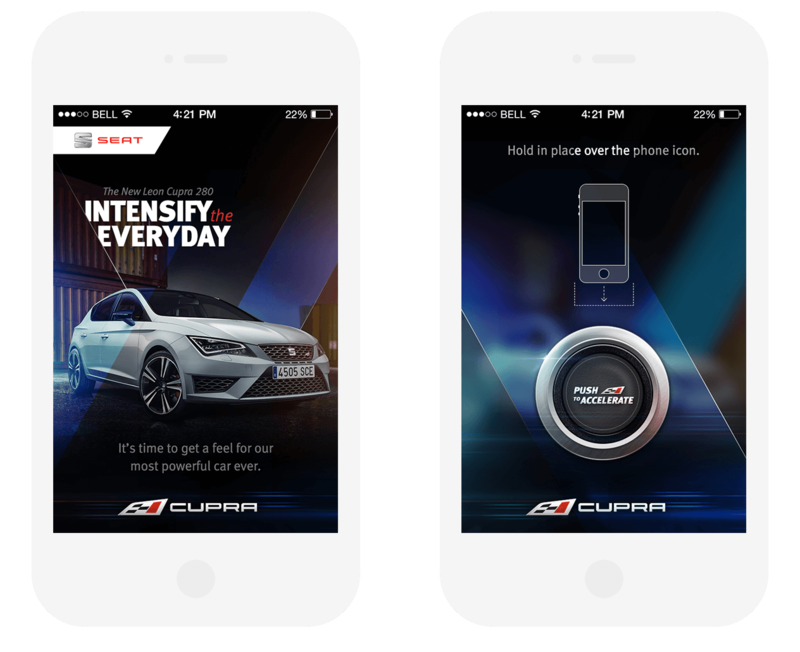 We enabled car lovers to be able to experience the power of the Cupra before it’s actual launch by creating an extra-long scrolling email that challenged fans against the Cupra in a 0-60 test. 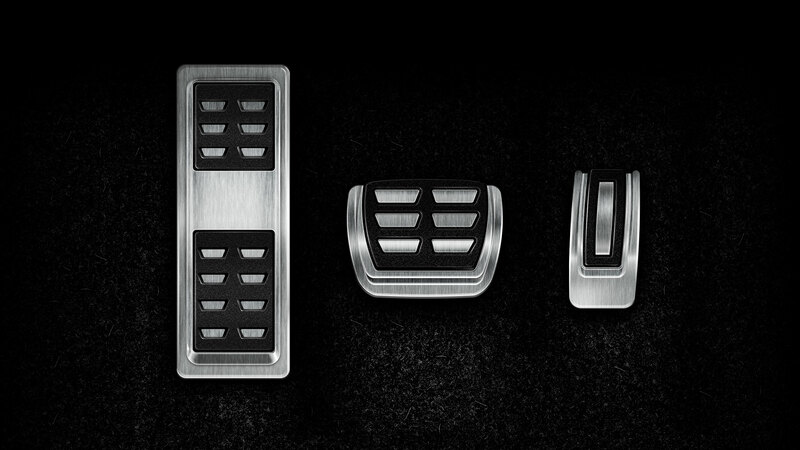 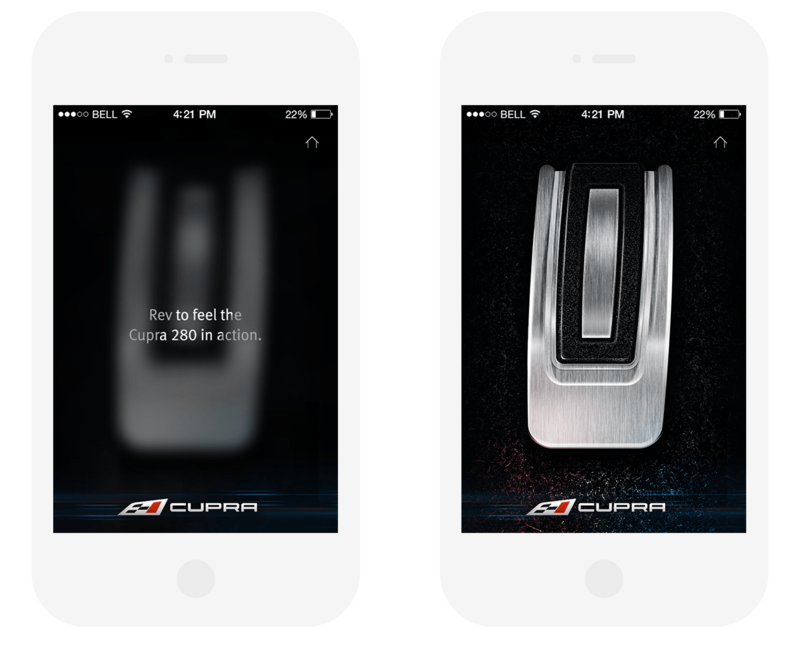 We then sent out 12,000 print brochures with a missing accelerator on the centre spread. 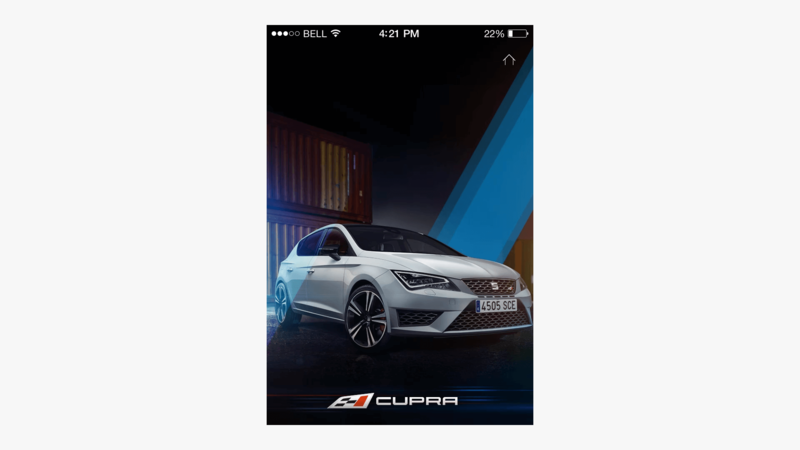 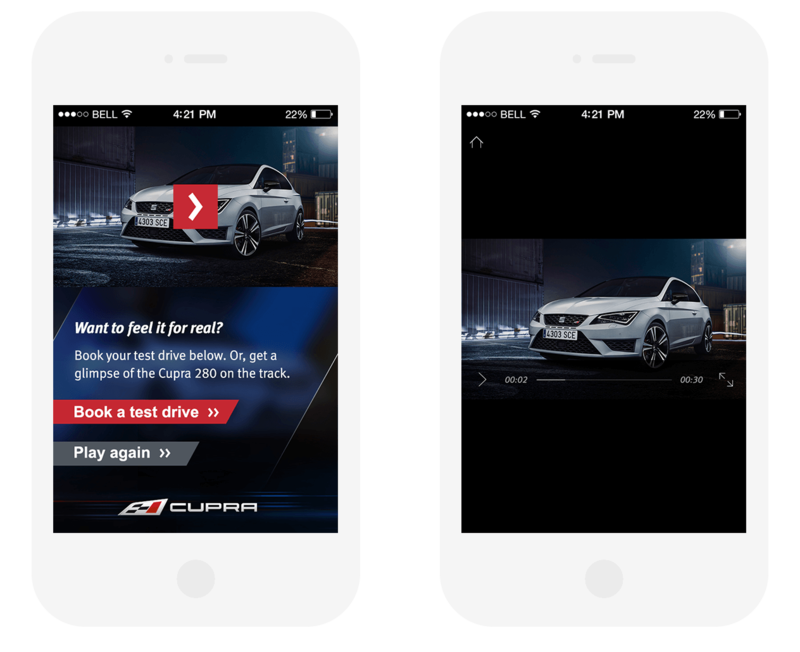 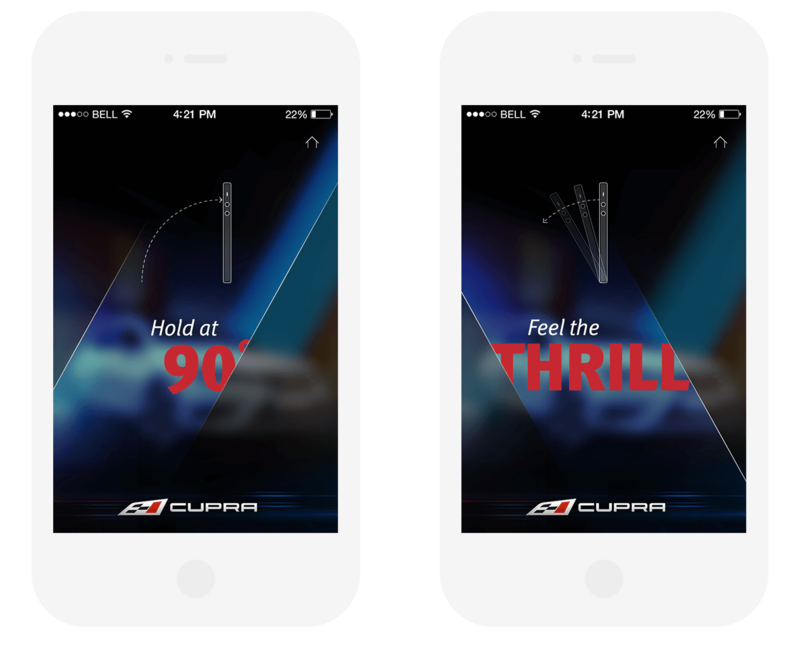 Using a specially designed Cupra app, users could 'feel the thrill’ with an interactive pedal simulation, whereby the app replicated the vibrations and sounds of the Cupra engine through innovative use of the accelerometer functionality.